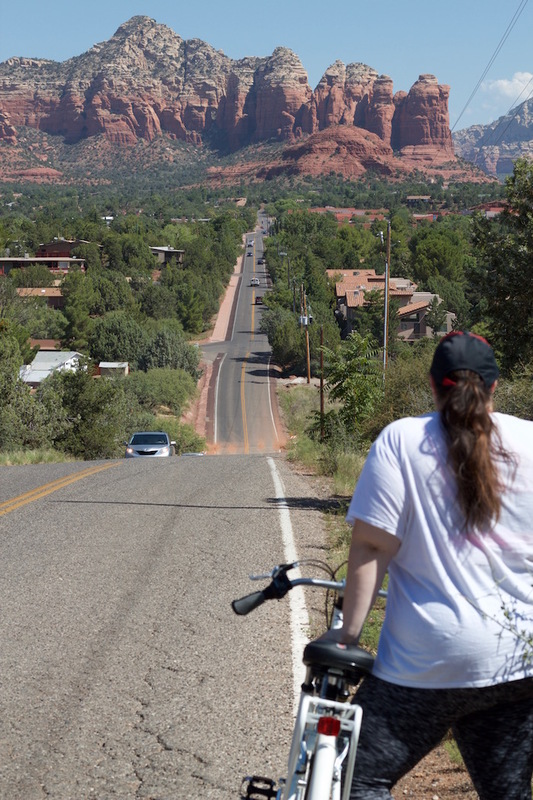 Adam and I recently made a trip up North to beat the heat and ride our bikes up in Sedona! With the Phoenix heat as unbearable as it is right now in the dead of summer, Adam and I wanted to put our new bikes to the test on some real terrain somewhere where it was cooler. 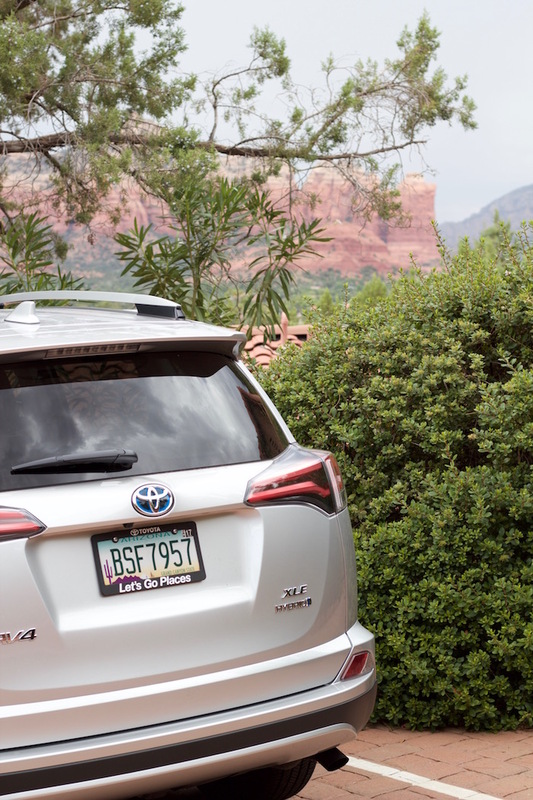 Our friends at Toyota asked us if we wanted to beat the heat and borrow a Toyota RAV4 to drive up North with, and we immediately jumped on board! After an early morning wake-up call, we began packing up the back of the car with our bikes and then followed by the rest of our gear. 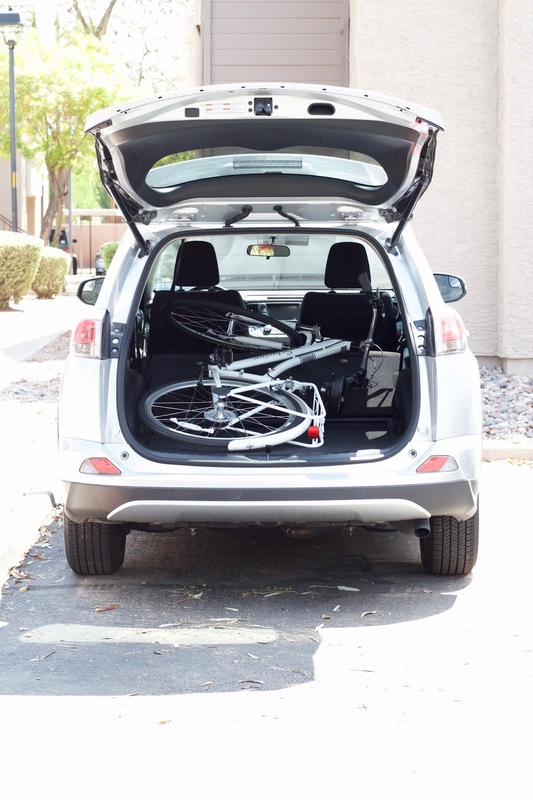 Since the drive from Phoenix to Sedona is only a couple of hours, we did not need to bring too much with us but luckily we had enough room to bring everything we needed and then some. 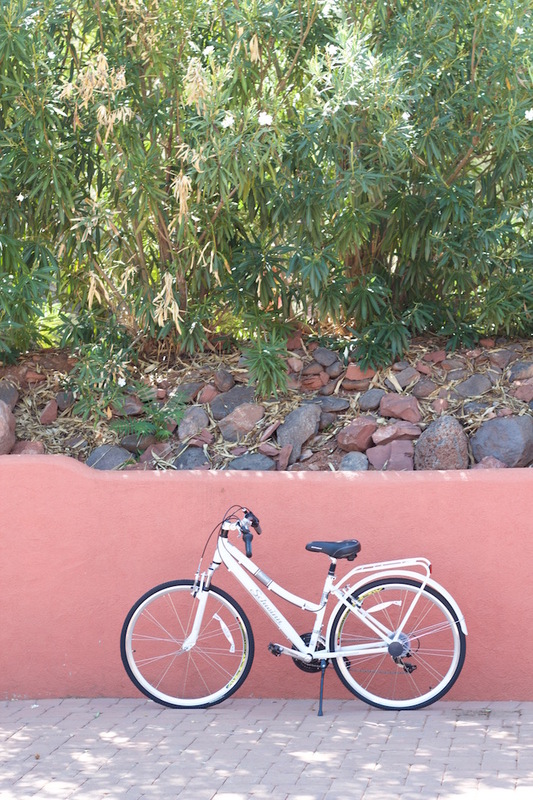 The views of the red rocks in Sedona were the perfect backdrop for our day trip filled with exploring and cycling! 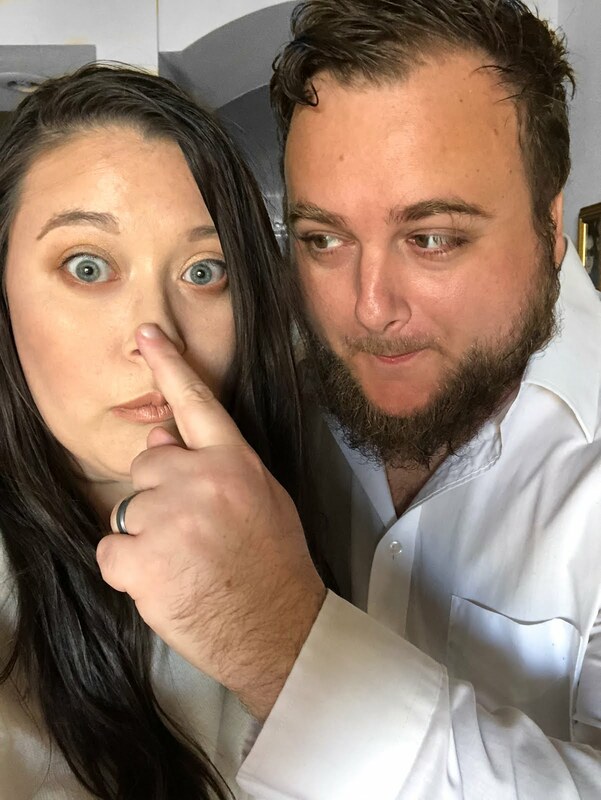 We had such a blast escaping the heat and spending time together--now we cannot wait until our next Sedona adventure! I still haven't made my way up to Sedona, but that sounds so nice!! 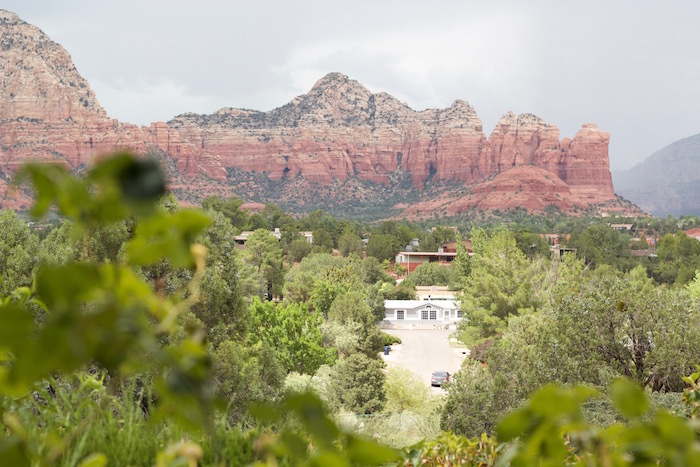 Sedona is so wonderful! I bet you'd really enjoy it, Lauren!